Tamara Meneghini is a professional actor, voice/movement coach, and teaching artist. She belongs to the Actor’s Equity Association (AEA), the Association of Theatre Movement Educators (ATME), and the Voice and Speech Trainers Association (VASTA, co-chair Engagement Committee). She has also taught courses in acting, movement, and voice at the Johnny Carson School of Theatre and Film at the University of Nebraska-Lincoln, Creighton University, University of the Arts-Philadelphia, and the American Academy of the Dramatic Arts–New York. She holds an MFA/Acting, a BA in Theatre/Music Performance, and is a certified in the Fitzmaurice Voicework and Williamson Movement Technique. Professional credits include acting, directing, voice/movement coaching and original work. Tamara developed and has performed the award-winning original solo work, The Great Goddess Bazaar (written by David Rush and directed by Jane Page) at the International Fringe Festival in Edinburgh, Scotland, 2013, Stratford Circus (London), United Solo Festival (NY, Best Variety Show), Boulder International Fringe Festival (Fringe Encore Award) and she garnered the Denver Ovation Award for Best Solo Performance in 2012. It continues to tour across the country, with accompanying workshops in creating character through the exploration of voice and movement. She was the recipient of the 2011 Kennedy Center American College Theatre Festival, Teaching Artist Fellowship to study with Giovanni Fusetti, of the Helikos School of Physical Theatre and a recipient of the 2010 Kennedy Center American College Theatre Festival Acting Teacher Award, Region VII. 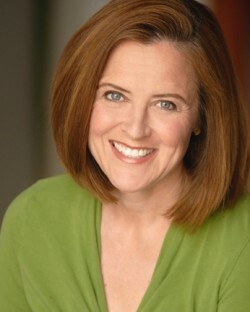 Additional regional acting credits include: The Merry Wives of Windsor, Henry IV – Parts I and II, The Fantasticks, Measure for Measure, Hamlet, and To Kill a Mockingbird (Colorado Shakespeare Festival), To Kill a Mockingbird (Denver Center), Gidion’s Knot (square product theatre), Master Class (Dairy Center for the Performing Arts), Quilters, The Ingenious Chambermaid (Directed by Joan Schirle), The Visit,The Guys (Open Theatre, AZ world premiere production), Grace and Glorie, and Grace (Angels Theatre Company), The Afghan Women (Chicago Storefront Theatre). Chicago professional credits include: The Prophet of Bishop Hill (Chicago Dramatists, Joseph Jefferson Award, Best Supporting Actress nomination), Sweeney Todd (Porchlight Theatre, After Dark Award – Best Actress in a Musical), Vanishing Point (Porchlight Theatre) Company (Pegasus Players, directed by Gary Griffin, Joseph Jefferson Citation, Best Ensemble), Animal Farm (Bailiwick Repertory Theatre), Life in the Trees (Joseph Jefferson Citation, Best Ensemble, SummerNITE) ,Terminal Café (SummerNITE), and A…My Name is Still Alice (SummerNITE).